Options: Blade extentions, blade cleaners, rear utility hitch, drag brackets, toolbar brackets, clevis type tongue, center shank, hitch jack, hose guide and hydraulic hose kit. Features: A heavier version of the OTL with each size being approximately 1600 lbs. heavier. 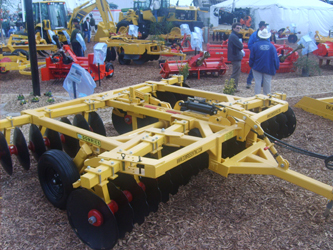 For tractors of 60 to 110 pto horsepower.